'Parties are making strange promises ahead of the elections without realising whether they can be implemented or not,' Naidu said. Amaravati: All 'free' promises being made by political parties were not good for democracy; Vice-President M Venkaiah Naidu remarked here Wednesday and wondered where the accountability was. "Parties are making strange promises ahead of the elections without realising whether they can be implemented or not. If tomorrow they cannot honour these promises, who will be responsible? Is there any accountability?" he asked. 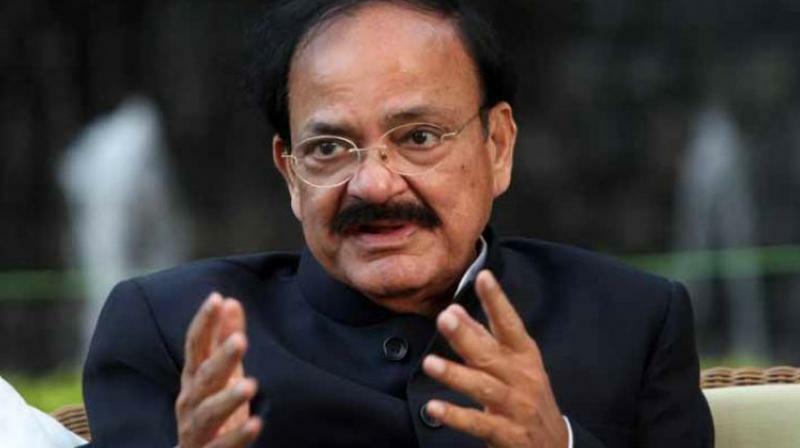 In an informal chat with reporters at his Swarna Bharat Trust, Venkaiah Naidu suggested that political parties first analyse the state's financial situation, its debts, income accrual from taxes and also the amount of funds required to fulfil the (poll-eve) promises. "They should first think how they will mobilise the required resources to fulfill the promises. This applies to the national parties as well as the regional parties," he added. Parties, ahead of the elections, have been making promises at will that they would give this or that, waive this, give these many lakhs. Post-election, they claim they did not promise to waive everything in one go and that they would do it in a phased manner, Venkaiah observed. "Those coming to power say the financial condition is not good because their predecessor ruined it. They plead helplessness. This could be rational also, I don't deny. But the free promises being made by parties are not good for democracy," the Vice-President summed up.